Troubleshooting often starts like this, with an interview. Skillfully interviewing people to obtain meaningful information about a malfunction is an essential skill for the troubleshooter. Especially if you are called in to look at a complicated system, perhaps spread across geographies or teams, you may initially be spending a good deal of time simply talking to people and reading incident reports. Asking the right questions at this stage may mean the difference between a quick fix and a fruitless, time-consuming odyssey. Discovering where to attack is critical, a process that is aided by smart queries. Let me introduce a powerful tool that goes beyond “asking the right questions,” one that will help you in all of your communications: insights of the “meta-model” from the field of Neuro-linguistic Programming (NLP). If you’re unfamiliar, NLP is the “science of subjectivity” and was born when its founders Richard Bandler and John Grinder studied three extraordinary therapists. These therapists (Virginia Satir, Fritz Perls, and Milton Erickson) were able to achieve amazing results with their clients in short periods of time. After closely observing them, Bandler and Grinder constructed a model of how their methods worked, the core of which was how they used language. The insights extracted by Bandler and Grinder have been applied to all kinds of problems: therapy, personal change, sales, management, etc. For our purposes, we’re primarily interested in the contributions to NLP made by noted family therapist Virginia Satir. Satir was able to ask questions that uncovered hidden information and compelled her clients to change by revealing their limiting beliefs. Bandler and Grinder distilled the very precise way Satir used language (in particular, her style of questioning) down to its essential elements and dubbed it the “meta-model.” The meta-model is a series of verbal patterns and responses to them in the form of questions. The patterns indicate that information is missing, which the questions attempt to recover. The questions can also be used to find and confront discrepancies between a reporter’s beliefs and reality. You may be wondering why I’m introducing you to techniques from the world of therapy, when presumably this is a work about troubleshooting. Don’t worry, you’re not going to ask anyone to lie down on a leather couch and ask them about their mother, Freud-style. But, since the theme of this work is “machine problems are actually human problems,” it’s not surprising that the tools needed to mend broken relationships and dysfunctional families are also useful to the troubleshooter. The reason for this is that the entry point to nearly every troubleshooting exercise starts with a communication, usually from a human or from a (human-built) monitoring system. Your grandma calls you and says the Internet is broken, one of your tenants knocks on your door and complains that his lights are out, your phone buzzes with texts about a problem at the plant, etc. Machines don’t talk, so you better get good at listening to those that speak on their behalf (i.e., humans). That means going deep in the ways people talk about their problems. As you will see, it really doesn’t matter if we’re talking about our frustrations with a family member or a broken-down car, because the difficulties people have describing their problems are universal. Knowing the “meta-model” has been invaluable to me, both at work and at home. Understanding it will make you a much better troubleshooter and a more effective communicator in all situations. After you learn it and apply it to your life, you’ll start to get a sense of what’s missing when people are talking to you. When it comes to troubleshooting, you will find that people, either consciously or subconsciously, delete information when reporting issues. They may feel partly responsible for the breakdown of a system, be protecting a fellow employee or simply have a terse communication style, thinking they’re doing you a favor by being brief. No matter the origin of such obfuscation, your job as a troubleshooter is to cut through it all. The meta-model is the knife that will help you do that, with the the underlying theme being the recovery of the hidden information and obtaining clarity from distorted descriptions. The two statements above are both grammatically correct. They also truthfully describe the same event, but one is infinitely more useful to a troubleshooter. The first description has omitted a lot of details about the “it” that is referenced. These details have been turned into specifics in the second description. The key to recovering information about unspecified nouns is to ask for more information: “What specifically…?” In this example above, what exactly is “it,” to whom does it belong and where is it located? If the car was at the bottom of a lake or on the moon, would that be good to know and would you still be surprised that it didn’t start? Paper trays don’t become overstuffed on their own. Who (or what) overstuffed the tray and on which printer was the tray attached? When troubleshooting, it’s frequently of critical importance how something was being done before a failure. Almost every machine you can think of has a right way and a less-than-right-way of using it. Some machines have a wide latitude in how they can be operated and others require that strict procedures be followed. You can see that information about the “how” is missing from the examples above. Was the computer shut down by using the shutdown command from within the operating system? By pushing the on/off switch? By pulling the power cord? By shutting off a circuit breaker at the power panel? By an EMP from a nuclear explosion? Buckle up for unspecified comparisons, because they can contain all kinds of assumptions and expectations. Saying “the website is slow” contains an implicit comparison: “slow”…compared to what? The way the website was operating last week? Slow compared to Google? Also, is their definition of “slow” based on a measurable and objective metric? Your job is to discover the missing context by asking for more information, and to corroborate these kinds of assertions with evidence. Knowing what something is being compared to can be critical, especially if are you being asked to restore it to an ideal that is unattainable. If you replace the word “obviously” with “it is obvious,” it becomes clear that there is critical information missing here: namely who this is obvious to and why! If you’re going to accept someone’s judgements when troubleshooting, do it willingly, not by having it smuggled in under the cover of vague language. If you can’t put your noun in here, it’s probably a nominalization. Nominalizations are verbs describing processes that have been turned into nouns (e.g., education, communication, etc.). It’s a bit of semantic magic to take a very active process (like “educate”) and turn it into a static noun (like “education”), giving the concept a veneer of fixed permanence. 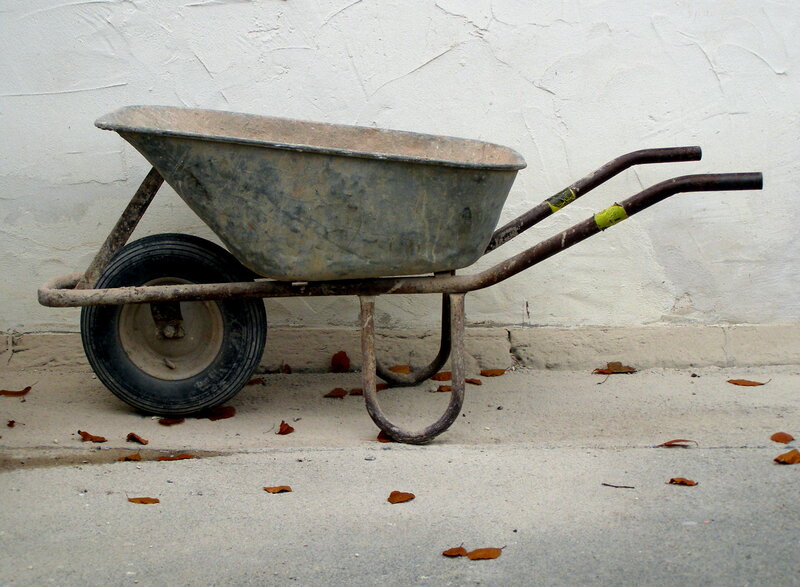 You can apply the “wheelbarrow test” to find out if you’re dealing with a nominalization. If it can’t be put into a wheelbarrow, that is, if the noun can’t be tasted, touched, smelled, heard, or seen, it’s likely a nominalization. Pay close attention to nominalizations because they can contain vast differences between people’s maps of the world. It’s easy to see why, because an abstract concept like “education” is a collection of activities that could include: teaching, testing, learning, reading, doing homework, on-line courses, public or private funding, etc. Based on your background and beliefs, you’ll likely have an opinion on what the essential components should be. Thus, “education” can mean very different things, depending upon who you’re asking. Of course, nominalizations are extremely useful! It would be very tedious to say “teaching, testing, learning, reading, and doing homework” instead of “education” every time you wanted to talk about…education. The rest of the meta-model is covered in: Skillful Questioning, Part 2.